In 1946, two engineers, Frank Cotter and G. Howlett Davis, changed drinkware as we knew it. Together, they harnessed the insulating power of air to make the first permanently-sealed double-wall tumbler. From this, Tervis® drinkware was born. It was named after its founders who combined the last three letters of their last names. Their discovery has been keeping drinks hot or cold for more than half a century. That innovation forever altered the world of drinkware. And today, it can be associated with your brand. 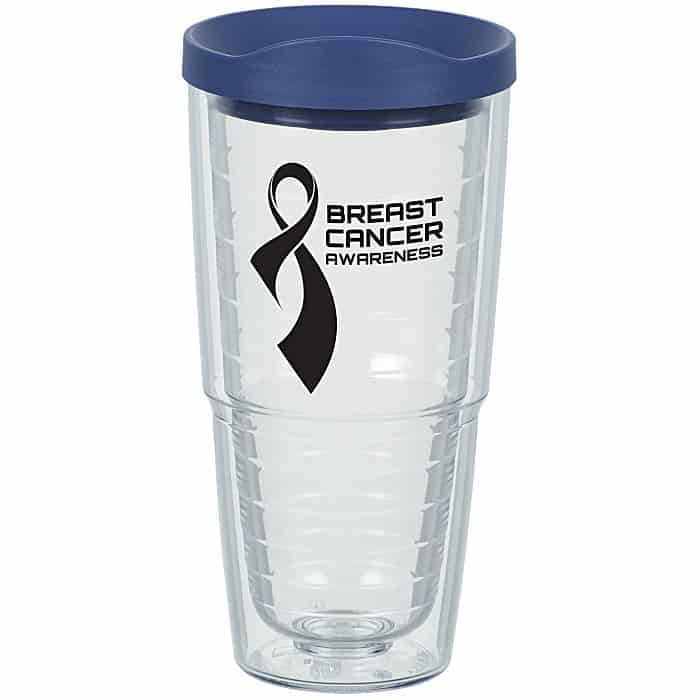 Co-branding with Tervis gets you a highly recognizable promotional tumbler employees and customers will thirst for. Tervis was purchased by a Florida family in the 1960s. Over time, the company continued to improve its product by offering distinctive patterns, themes and colors to create tumblers as unique as the people drinking from them. 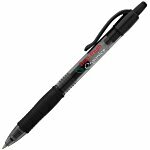 And now, you can put your name on Tervis promotional products. The Tervis Classic Tumbler is available in 16 and 24 oz. sizes. 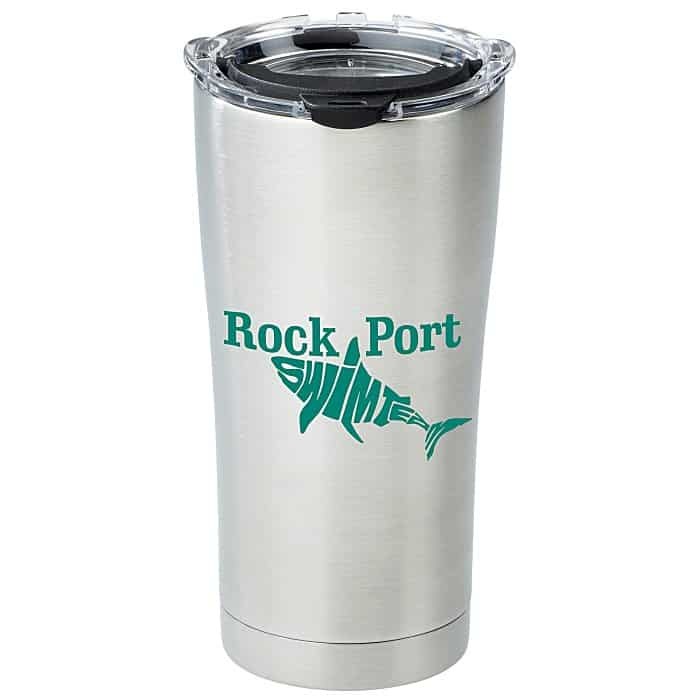 This custom promotional tumbler is available with a variety of colored lids, making it a suitable choice to complement almost any brand. The double-walled tumbler will be everyone’s go-to for the daily commute. 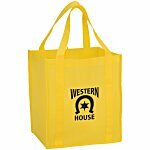 Give them to new employees and customers or hand some out at your next trade show. 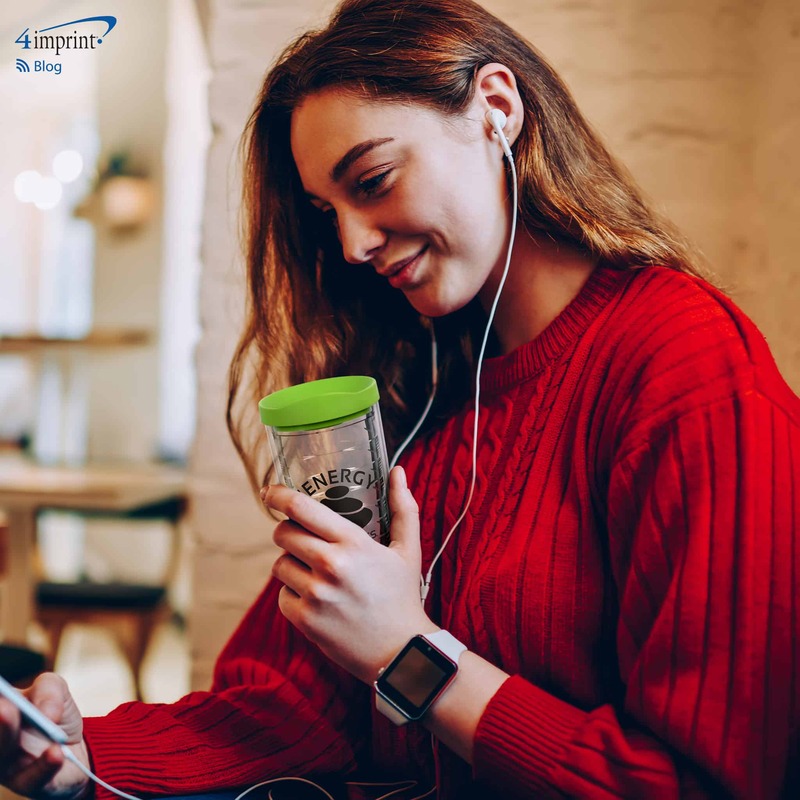 The Tervis Stainless Steel Tumbler combines the beloved Tervis brand with the hugely popular copper-lined stainless steel construction for increased temperature retention. It’s the perfect mug for a cup of coffee or tea—hot or iced. Hand these out to employees celebrating a milestone or fill them with hot cocoa to warm guests at a chilly community event. 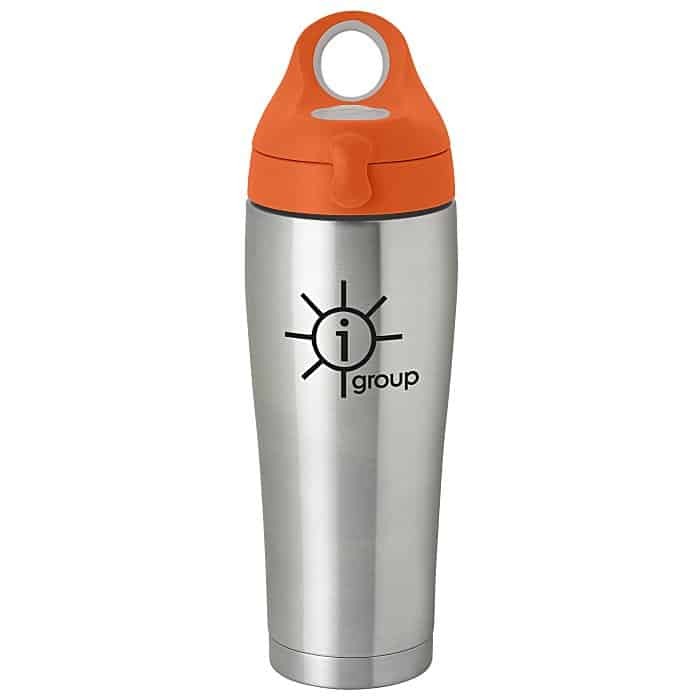 The Tervis Stainless Steel Sport Bottle and the Tervis Classic Sport Bottle offer the high quality of Tervis’s double-wall construction with a sporty look and feel. Hand them out at the start of an employee wellness challenge or offer them to your customers who love to run, bike or hike. 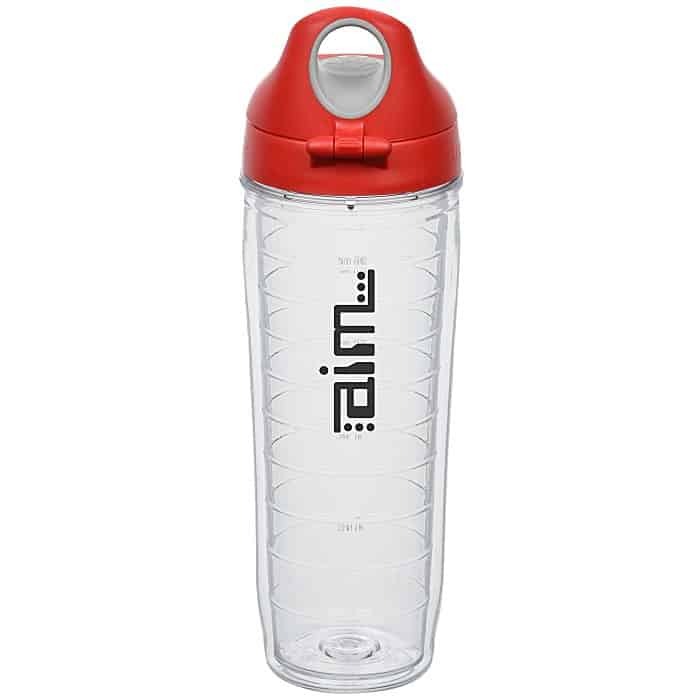 Need your tumbler or sport bottle in a hurry? 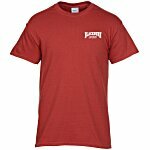 Choose 24-hour shipping. When you put your name on Tervis promotional products, you’re co-branding with the real McCoy. 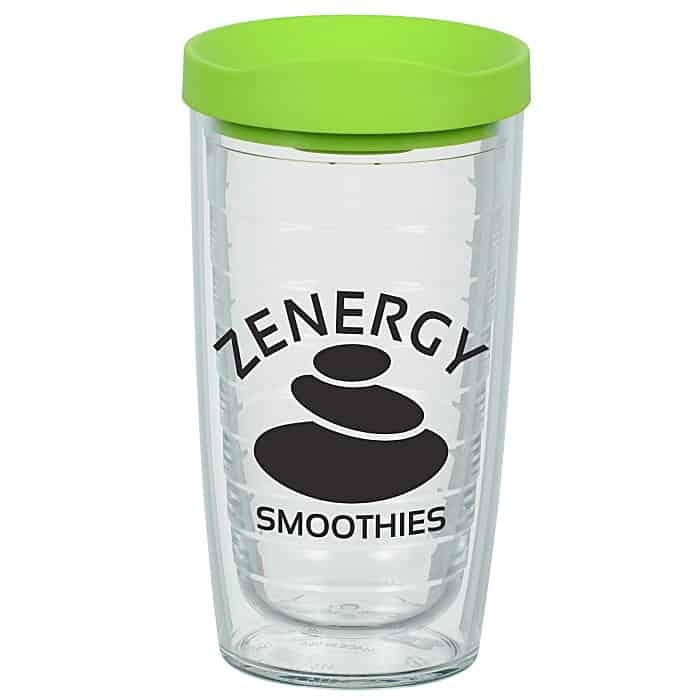 Give them what they’re thirsting for with these custom promotional tumblers and mugs.